The restrictions include limiting trading in the affected companies' stocks to once a month and curbs in the trading of shares held by the promoters and directors of the companies - raising fears of additional measures from the regulator. Indian stocks fell on Tuesday, heading for a second straight session of losses, as an unexpected regulatory order by the Securities and Exchange Board of India or Sebi imposing trading restrictions on 162 listed entities identified as shell companies raised concerns about a wider probe into others. Analysts attributed the move by Sebi to a broad government crackdown on suspected illegal offshore transfers and tax evasion, although the regulator did not say what illegal activities the companies might have been engaged in. Concerns about valuations also weighed on markets. Indian stock markets have been on a record-hitting spree in the past month, with the NSE index breaching the 10,000-mark and the BSE Sensex crossing 32,000 for the first time. "There has been an initial panic," said Neeraj Dewan, director, Quantum Securities, referring to the Sebi action. "Markets are definitely stretched, they will correct at some time." The broader NSE Nifty was down 0.81 per cent at 9,975.90 as of 1:44 pm, after falling as much as 1.1 per cent in its biggest intraday percentage gain in three weeks. The benchmark Sensex was 0.84 per cent lower at 32,002.32. Investors booked profit in recent outperformers. Nifty PSU Bank index, which has risen nearly 23 per cent this year, lost as much as 2.8 per cent with Bank of India and Punjab National Bank leading the fall. 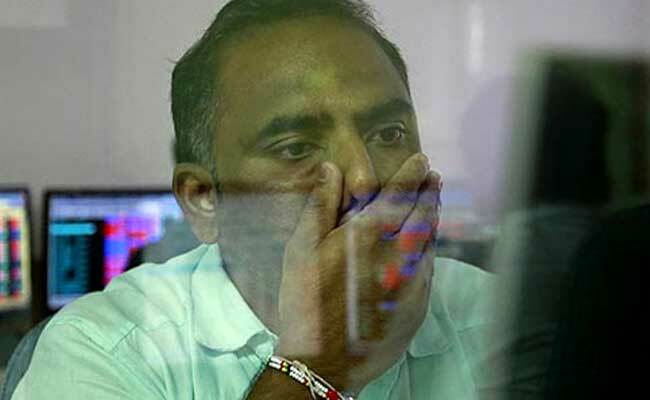 Energy stocks Indian Oil Corp and Bharat Petroleum Corp Ltd were among the top percentage losers, falling over 3.4 per cent and 3.7 per cent, respectively. However, the Nifty Metal index rose as much as 3 per cent to its highest in over three years and was among the few indexes trading in the green. Strong quarterly results by Tata Steel Ltd and Novelis, a unit of Hindalco Industries, helped boost the sector.